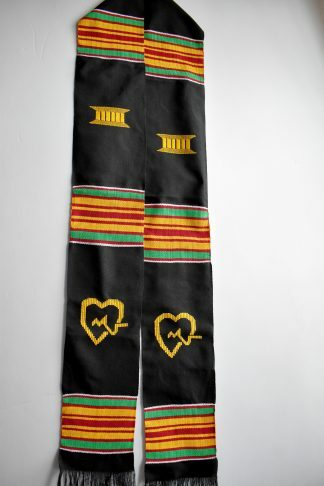 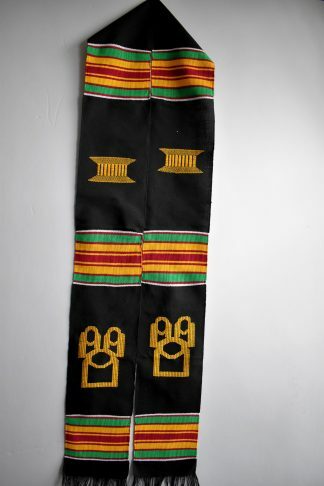 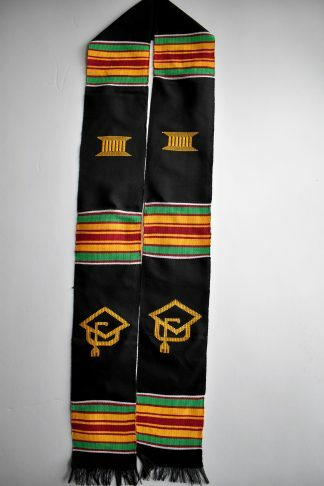 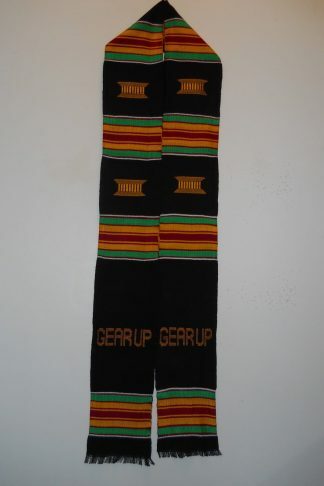 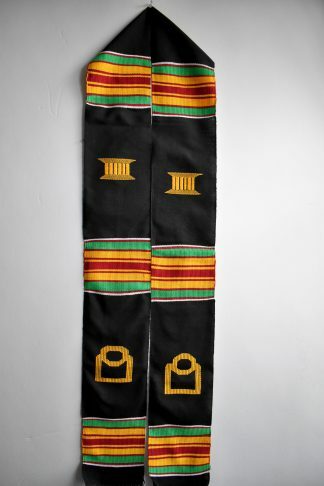 The stole has a black base background with pink and green stripes. 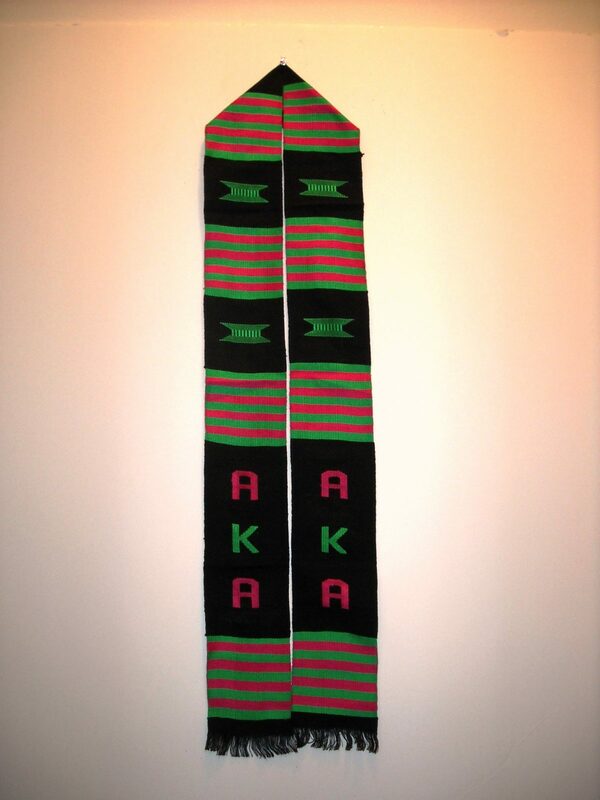 The letters and symbols are pink. 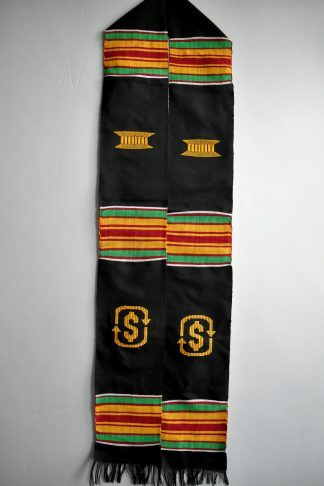 The stole has a black base background with pink and green stripes. The letters and symbols are pink. 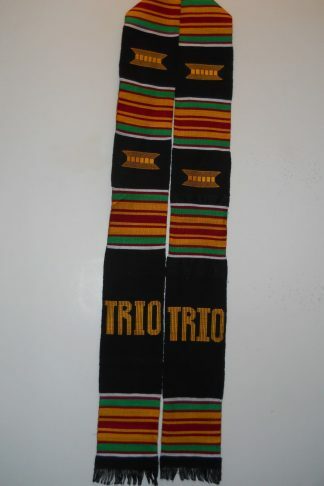 The Asante Stool symbol represents royalty, maturity, riches, growth, leadership, superiority, toughness, purity, wealth and love. 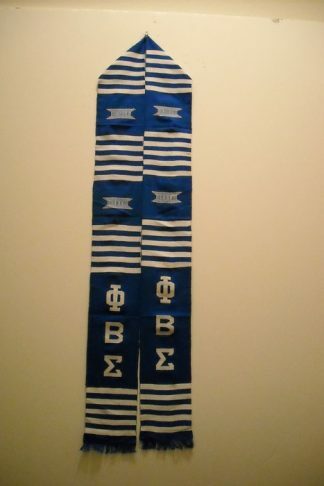 The Greek Letters are hand-woven on both sides.